If you are a Director for a Canadian Company doing business in India you will be required to obtain a Director Identification Number or what is commonly called a DIN. In addition to this you may have to apply for a Digital Signature Certificate for Directors or a DSC. To carry out any major financial or trading in India you will need to register for a PAN card or Permanent Account Number with the income tax department. As part of the DIN, DSC and PAN application process your supporting documents will need to be presented for Attestation at the Indian High Commission in Canada. But before being attested at the Consulate of the Indian Embassy there are a few steps you will need to take before your documents will be accepted. This applies to documents such as an Identity Document, Passport, Director Affidavit, Certificate of Incorporation, Certificate of Good Standing, Directors Resolution, Agreements, Power of Attorney and Notice of Change documents. Ask us about your document for more information. Once you have obtained the correct documents for your applications you must have them sworn by a Canadian Notary or Commissionaire of Oaths. Once notarized the documents are ready for the first step of authentication at Global Affairs Canada here in Ottawa. Once received by our office the document will be presented in person by us to Foreign Affairs where they will check the signature on the documents in their registry to see if the signatures are valid. Once satisfied they will put their stamp and signature on each one to verify the authority of the person that signed the document. As the normal processing time is 15 to 25 business days Foreign Affairs recommends that you hire an authentication and legalization service to assist you with quicker service. Depending on your urgency Authentication Legalization Services Canada can shorten the authentication process to 1, 3 or 10 business days to save you valuable time and usually with corporate matters time is money. Is Attestation or Apostille the same as Legalization in India? After we have authenticated your documents at Foreign Affairs they will be ready to be attested at the Indian Embassy in Ottawa. This step is also called legalization in Canada or Apostille in India. As we attend in person on your behalf at the embassy processing time is normally 1 or 2 business days. This can vary for anyone who may not have provided them with the additional requirements although using our services will guarantee that your documents will be accepted. The Embassy also charges a fee for the attestation of documents. Please consult with us to confirm the current Embassy fee and other requirements before sending your documents to us. After the Attestation step your documents will be valid for legal purposes in India. 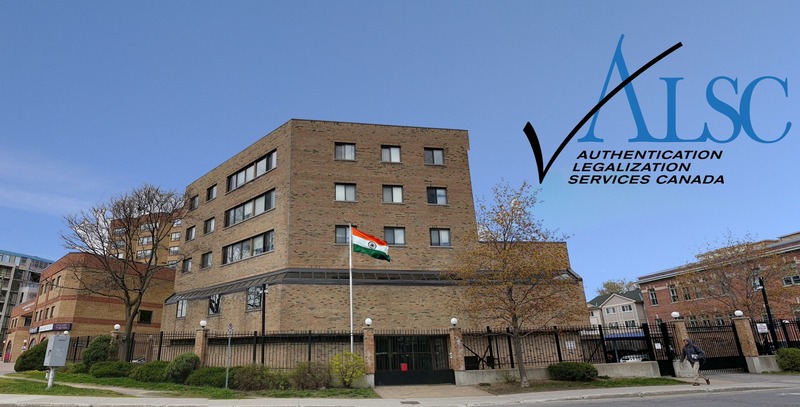 As noted since India is a member of The Hague Convention, the authentication and legalization process in Canada might be referred to as Apostille but is recognized as its equivalent. If you need Attestation or to Apostille, Authenticate and Legalize your personal or corporate document for use in India we can help.